BAND BIOGRAPHY CIRCLE OF SILENCE was formed in 2006 in the Heilbronn area. The line-up - consisting of Nick (vocals), Chris (guitar), Tobias (guitar), Björn (bass) and Pit (drums) - has remained stable since the band's formation. Two demo albums were released between 2006 and 2010. CIRCLE OF SILENCE became part of the Massacre Records family in 2011 and released their debut "The Blackened Halo" in the same year. Two years later, CIRCLE OF SILENCE returned with the successor "The Rise Of Resistance", and once again received positive feedback by the fans and press alike. After taking a creative break, CIRCLE OF SILENCE returned in 2017 and are now ready to release "The Crimson Throne" - their most sophisticated and heaviest album so far! 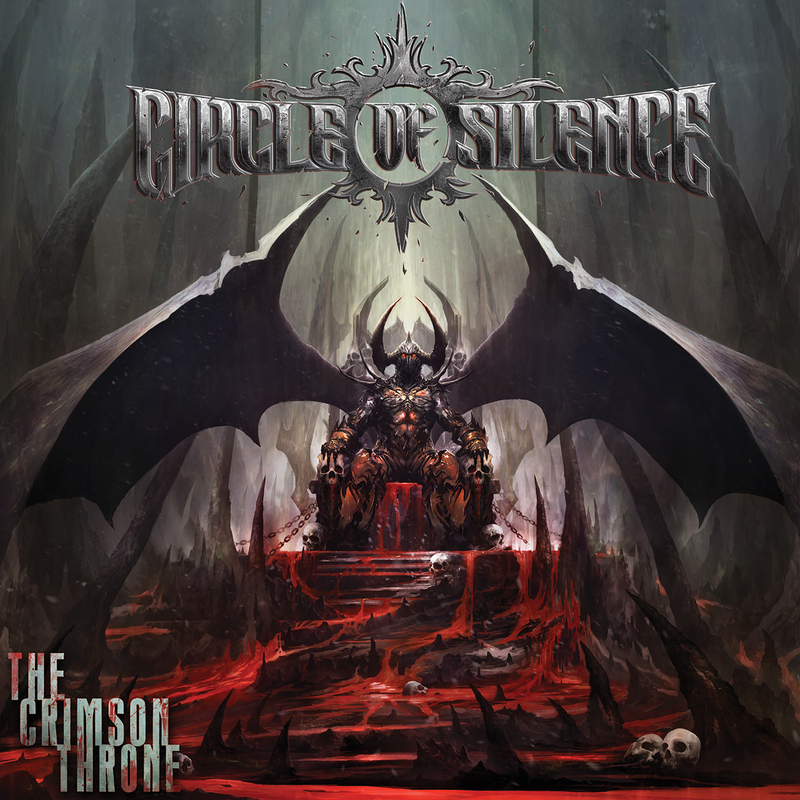 ALBUM INFO On their third studio album, "The Crimson Throne", CIRCLE OF SILENCE once again serves uncompromising power metal! Thrash-y up-tempo songs collide with infectious double bass tracks and form the foundation of the band's fastest and heaviest album so far. The 11 songs on the album offer a varied mix of signature elements as well as new experiments like drop-tuned songs or old-school influences. CIRCLE OF SILENCE recruited the experienced producer Kai Stahlenberg for the album's mix and mastering, who already worked with bands like Powerwolf or Cripper. The artwork was once again created by Francisco Garcés, a.k.a. Dibujante nocturno, with whom the band already worked together before.